Your current computer won’t last forever. That is the plain and simple of it. Computers, and the hard drives within them, fail because of accidents, viruses, and mechanical failure. So what’s going to happen to all of your valuable files, photos, and data if your computer goes kaput? If you use Cloud Backup Robot, nothing is going to happen. Even if your computer goes up in smoke, this excellent backup software program keeps your files safe and sound. Cloud Backup Robot creates file, folder, and SQL Server database backups with “one-click” protection so that you never have to worry about your important data being lost again. Why Is Computer Backup So Important? Let’s cut right to the chase: if you do not backup your computer, then all of your important information could be lost in the blink of an eye. For personal users, this might mean those precious family photos or vacation photos. For small businesses, it might mean invaluable accounting data. In fact, many small businesses are forced to go out of business after a catastrophic loss of data simply because the act of reentering it all is so time-consuming and costly. At the end of the day, investing in great computer backup software is a no brainer. It will help you keep your data safe in the event of an accident or emergency and will help ease your mind of worry. 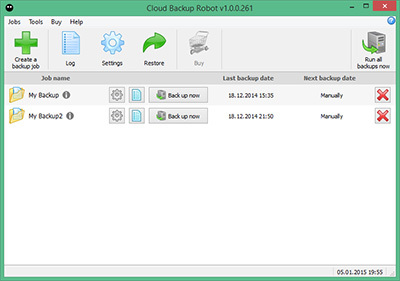 Cloud Backup Robot is one of the best backup software programs on the market today. It creates files, folders, and SQL Server backups for all of the data on your computer. However, what really sets Cloud Backup Robot apart from the competition is how simple it is to use. Unlike other programs that are difficult to understand, the folks behind Cloud Backup Robot built the software with a dedication to simplicity. The convenience of using the software extends to its “one-click” protection of all of your data. Though relatively new, Cloud Backup Robot has a reputation as one of the most comprehensive and reliable cloud backup services in the industry. Cloud Backup Robot is available in three pricing models. Each version of the software includes a different level of features and thoroughness. The “Lite” version runs for $29.95 and is the most basic. “Standard” runs for $59.95. Finally, “Professional” runs for $179.95 and is the most comprehensive. Each version of Cloud Backup Robot comes without an expiration date. You can use them for as long as you like. However, the Lite and Standard versions only come with updates to version 1.9. The professional version includes free unlimited software updates. If you want to buy the software for multiple computers, Cloud Backup Robot encourages you to contact them directly for special offers. 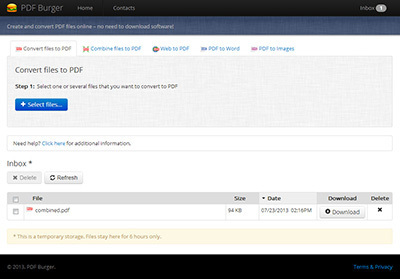 Cloud Backup Robot proves time and time again to be one of the best cloud-based backup programs around. It is comprehensive and works with a variety of data types on any Windows computer. Best of all, the software is easy to use and highly intuitive. Cloud Backup Robot is a great choice to keep your computer and your data safe and sound. It’s no doubt that most of us have checked out Google’s Webmaster Help Center. Huge numbers of the prescriptions are self-evident: Don’t use frames; don’t practice any cloaking techniques or use scripts trick the search engine; create a search engine site map and get links from quality sites etc. 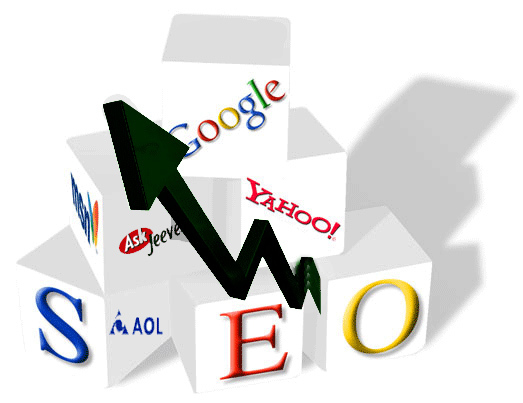 This refresher is for all SEO webmasters and who find themselves as specialists in their fields. You may be a specialist, but it is never an awful thought to occasionally review the basics. This shouldn’t be a problem unless you show item lists without separating them into different pages or have a sitemap or a link partner’s page. In case you have more than one-hundred outbound links, you might need to audit your linking tactics unless you have incorporated an exhaustive list of top notch resources for visitors to your site. Make sure that your TITLE and ALT tags are clear and correct. Most webmasters presume that by using keywords in the page title that are relevant to the page’s topic is enough to satisfy Google’s rules. But they forget that the “ACCURACY” is the most important factor of the game. So make sure that the word you’re using in the Title is also present in the article/post body. This practice passes green signals to Google and increases your chances to boost your search engine ranking. This type of content can generate session URLs and IDs that hold a “?” character. Verify your administration settings to ensure that you are not forcing search engine crawlers to begin a fresh session every time they crawl your website. Note: Stopping spiders from starting a new session on your website may put a negative effect if you have a 3rd party credit card processing service. If you’re planning to make any changes of this nature then always confirm these details with these services prior to launching any service. Use 301 redirects to let visitors know if a URL has changed. Most of the bloggers use outdated “meta refresh” command for redirects, which is considered as unethical approach and it’s also against the Google’s webmaster guidelines. A lot of people still use pictures as a method of showing headings or other significant areas of content in place of HTML because they developed an understanding that a bold font with a drop shadow enhances the feel of the webpage. While clarity and branding are always supreme, remember that different fonts utilized on the same page can have a less than favorable effect on readability. It’s better to compose more content in HTML to help search engine crawlers. CSS can also achieve the look you need while keeping the code clean in a format that is readable for the search engine. When you’re employing a person for the post of SEO to assist you with your website’s rankings, be watchful that they don’t link to other sites without your permission. 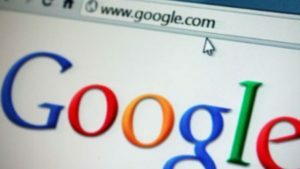 It’s better to give him/her strict work guidelines, so you can avoid any penalties from Google. Always read the guidelines for Google webmasters if you are going to create a new website or blog. A lot of webmasters usually ignore these points so if you also belong to that group don’t worry; just fix the issues and apply them whenever you work on a website. Today’s world cannot deny the mesmerizing effect of online marketing of each and every product. So, if you have started a business and want to promote your products and company among people within a short time, you should have a well informative web site over the Internet. And for this, the best web hosting services are out there in the market to help you get your own server in the world data center with Internet connectivity. You can take those servers on lease for a certain amount of years without buying permanently. Power failure protection with generators. Sudden hike in web-traffic handling systems. Fast troubleshooting and solution service. 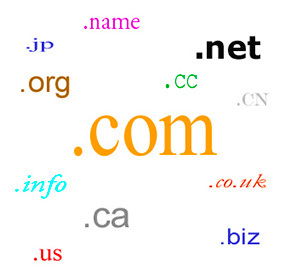 Only the professionals can provide you this many important facilities for your web site. These qualities make them different from the others. The cheap web hosts cannot afford these facilities as they offer a cheap rate to attract customers and make them suffer for a low quality service. So, you shouldn’t compromise with a low quality service for a cheap rate. Rather, go for the best web hosting services available out there. Before getting into a contract with the hosting service, you should read the offered packages carefully. You should have knowledge on the type of storage, connection bandwidth, emails, upgrade path etc for your web site. The contract should be with the hosting service providers directly. There are sub-contractors who usually take the job from you and outsource that with the original providers. If you go through lots of channels, your project may get expensive as you have to satisfy all the hands in the channel. You could have a web consultant as a middleman to connect you with the direct hosting service providers, not the web designers. So, better know your service provider before giving them the contract, discuss with them about the packages, get knowledge on the important safeguards provided and then choose the best web hosting service for your web site! If you’ve been wondering exactly how to create a website or blog in our modern world, you’re going to be excited at the information provided below. No longer do you need a degree in computer science or web design to design and develop your own high level websites – all you need is a handful of the top tools and technologies (almost all of them 100% free) as well as the advice provided below that point you in the right direction. While it certainly true that you could still design your own website with nothing more than Microsoft Paint and Notepad, the truth of the matter is that the overall design and development industry has changed entirely. Now you’ll be able to tap into tools like WordPress, Joomla!, Drupal, Photoshop, Gimp, and Notepad++ – tools that are either open source and 100% free or as close to it as possible. These are the same exact tools used by professional web designers and developers each and every single day in their own businesses, and more than enough to get you down the road to having your own website up and running in the blink of an eye. Another real leap forward as far as the web design and development world is concerned has been in the focus on high-level teaching guides on how to create a website. Just like technology, the tutorials and resources created for learning how to build a website have become more and more advanced – while the price has dropped right through the roof. Now you’ll be able to jump on YouTube (or any number of other websites) and watch as professional web designers and developers walk you through the entire process in a step-by-step nature – guaranteeing that you’ll get the very best results possible. There are also a handful of written resources and tutorials that you can rely on if you’re more inclined to that teaching style, and these are 100% free – or close to it – as well. Just like learning anything, there’s going to be a handful of bumps and bruises along the way when you are first setting out to learn how to create a website. Your first few websites may seem incredibly basic on the surface (unless you use CMS platforms like WordPress), but that’s okay – everyone has to start somewhere. Before you know it, you’ll be designing and developing breakthrough Web platforms and websites, especially if you rely on the list of resources provided above. Save often, experiment with new tactics and tools, and always keep your eye on the prize – you’re finished result – and in just a short period of time you’ll be a high-end web designer and developer as well. Always come the web looking for new sources of inspiration and other learning lessons – there’s an endless sea of information out there designed specifically to help you every single step of the way. Ever since the inception of the phenomenon of blogging, people all over the world have created hundreds of thousands of blogs on every conceivable genre. Blogging has facilitated the creation of web portals by empowering people who, otherwise, do not have any technical knowledge about setting-up websites. Usually setting up a website is a fairly complicated process but various blogging platforms have made this process a synch. The best thing is that most of the famous blogging platforms are free to boot. Here we will take a look at the ten most famous free blogging platforms. WordPress is probably the most famous blogging platform in the world today. WordPress is free and allows the user to quickly and easily create blogs from scratch. There are huge customizable options available in the form of themes, widgets and the like. In terms of features, WordPress is the king of the free blogging platforms. Blog.com is also powered by WordPress. It is laden with advanced features which would satisfy even the advanced users. However, it doesn’t offer as much storage space as WordPress and the frequent advertising can also put off several users. Blogger is another famous blogging platform which is free to utilize. For those who don’t know, Blogger is owned by the search engine giant Google. 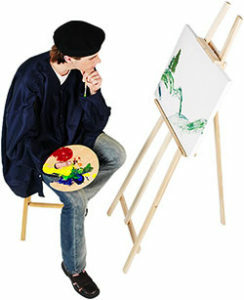 It offers several options to customize your blogs. However, it doesn’t offer the same feature-rich experience as WordPress does. Tumblr is gaining popularity among free blogging platforms. It offers various exciting features such as support for various third party applications and integration with social media. It is basically a micro blogging platform. LiveJournal doesn’t offer the full-fledged and feature-laden blogging experience like WordPress or Blog.com. Rather its services are rudimentary and are more suited to casual bloggers. Casual bloggers would find it adequate and hassle-free. Penzu is a really exciting blogging platform for those who are fond of writing. Penzu also introduces the concept of privacy in blogging. You can add privacy to your blog or to individual posts. Social media integration is also present since it is the norm of today.